The user population is comprised of 10,964 Native American people. We have two outpatient clinics, one located in Arapahoe and one located in Ft. Washakie. We are staffed with family physicians, pediatricians, physician assistant, family nurse practitioners, psychologists, dentists, dietician, public health nurses and optometrists. Specialty clinics are also held at our facilities ranging from orthopedic, podiatry, nephrology, obstetrics, audiology, women’s health and cardiopulmonary services. 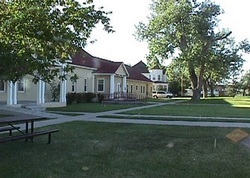 Inpatient care is covered by a close working relationship with the excellent community hospitals in nearby Lander, Wyoming that has an 83-bed hospital, fully staffed inpatient psychiatric hospital and also Central Wyoming Rehabilitation Unit and Riverton Memorial Hospital has a fully staffed 70-bed hospital. The Wind River Service Unit is accredited by Accreditation Association or Ambulatory Health Care (AAAHC). health to the highest level. Through compassion, excellence, and teamwork, we are devoted to improving your health! either be self-referred or referred by another agency. guarantee nor an insurance program and not all IHS patients are covered. Housing is located on the agency compound but availability fluctuates depending on the staffing needs and current housing market. is 16 miles South of Fort Washakie or Riverton which is 10 miles east of Arapahoe. Local realtors in those communities can be contacted regarding rentals or purchase of homes. Shopping and other services can be done in Lander (population of approximately 7,500) or Riverton (population of approximately 9,600). Casper, WY is located in the central part of the state and is our largest city in Wyoming. It is approximately 2.5 hours from Lander. Service Unit. We are nestled at the foot of the Wind River Mountain Range, approximately 4 hours from Yellowstone Park (Old Faithful), 3 hours from Jackson Hole, Wyoming. Traveling Northeast about 1 ½ hours you will find the worlds largest mineral hot springs in Thermopolis, Wyoming. South of Lander about 1 hour is the site of historical South Pass City where gold was found in earlier years. If you like to hike, camp, snow ski, water ski, hunt, fish you name it, there is a wide range of outdoor activities available in the immediate and surrounding area. Public schools are available for grades K-12 on the reservation, or in any of the surrounding towns of Lander and Riverton. For those choosing to go further in school, but do not want to leave the area, Riverton’s Central Wyoming College offers a number of associate degree programs in association with the University of Wyoming. Wind River Reservation TribesThe Reservation is jointly owned with each tribe holding 50% interest in the land, water and other natural resources. Each Tribe is committed fully to the welfare of their members. Job creation and economic development are a high priority for each tribe. Joint meetings are held with regard to jointly owned resources for the economic benefit of each Tribe.